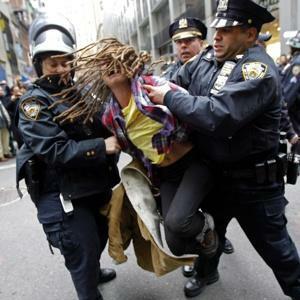 Hippie peacenik Stacey Hessler, the Florida mom who ditched her kids and husband to join the #OWS squatters, was arrested yesterday for disorderly conduct. Stacey Hessler was arrested yesterday for blocking traffic in the middle of Broadway. She kept screaming, “What did I do?” as cops dragged her away.